Many students of alcohol history know little about the manufacturing techniques or the science behind alcohol production. Particularly beer is poorly understood due to the complex processes involved in manufacture. My book is a quick yet thorough way to develop basic knowledge. There are some noteworthy differences between beer consumption and consumption of beverages with higher alcohol percentages. The interaction between technology and sociological trends became much clearer to me after writing this book. For instance, the way that lager beer conquered the American marketplace and displaced older ale types seems to have been caused by the interactions among Germanic immigration to America, newly available yeasts strains, improved ways to store or make ice, and clear glass vessels to drink beer from while observing its bubbles and sparkle. Also interesting to me was the paucity of documentation on the way older style brewing plants were replaced by more modern designs. It became clearer to me that new archaeological work was necessary to enlighten our understanding of the evolution of brewery architecture. 4. Every book project leaves some stones unturned. What stone are you most curious to see turned over soon? I would like to see archaeological studies of many more breweries than have been done so far. More data would make comparisons sounder. I would also like to see continued the growth in research on breweries, building on the trend of the past two or three decades. Beer and brewing are finally becoming legitimate areas of historical study. 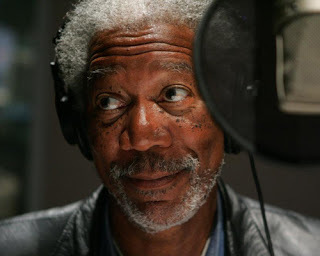 Morgan Freeman should do the reading for my audio book.